ROK Comics have just launched a new ongoing digital anthology comic titled Pulse, - and it's only 69p an issue. 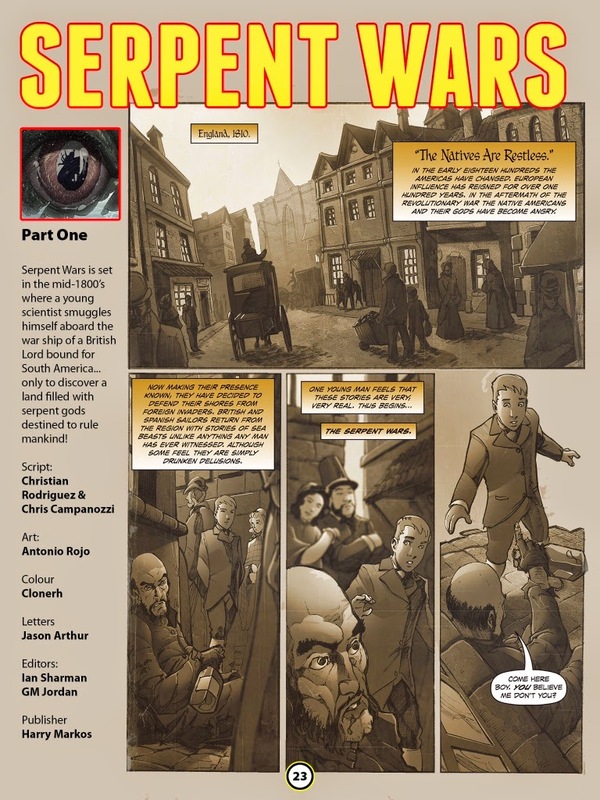 The 36 page full colour comic is available to read on the iPad through the new ROK Comics Ultra marketplace app on Apple's iTunes store. 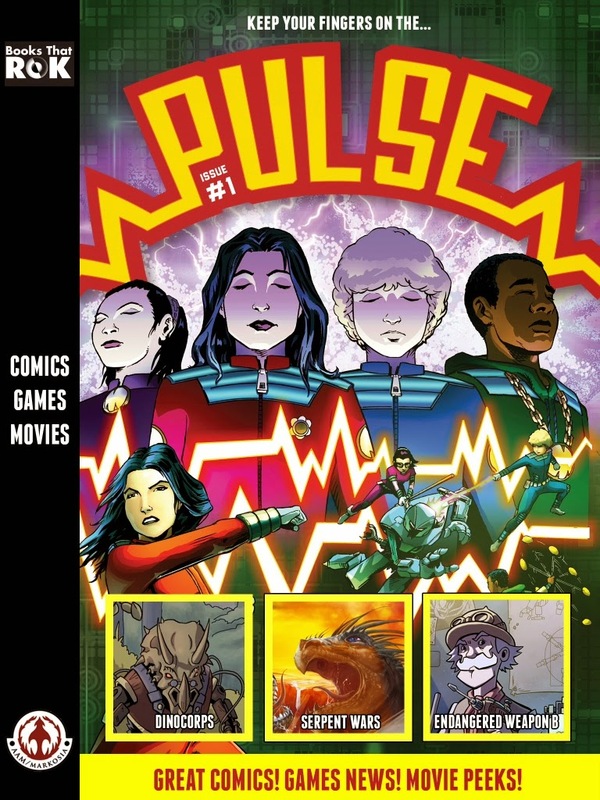 Pulse is produced in partnership with Markosia Enterprises and is aimed at teenagers. 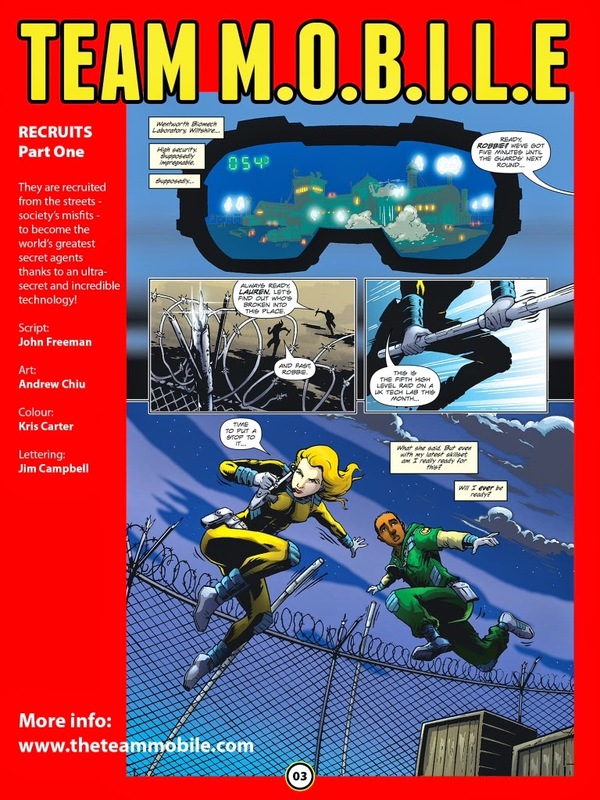 The serial adventure strips in No.1 feature Team M.O.B.I.L.E., Dinocorps, Serpent Wars, and Endangered Weapon B.